Our personal brand determines who we are and is the tangible identity towards others, as a professional specialized in the development of strategic communication, one of our main areas focuses on the empowerment of people who are leaders of each business organization, and with Olga Egido is no different. As principal pharmacist in Imperial Pharmacy, Olga brings all her knowledge and experience to drive the growth of pharmacy in the sector. The challenge with Olga Egido started with the professional empowerment of a person with experience and determination to change the rules of the game. It was necessary to create a brand that will denote quality, knowledge and actuality, under the premises of innovation and freshness. We had to distinguish from the typical ornaments of the pharmaceutical sector in order to offer a completely different denotation. The market calls for a more honest and transparent view of the professionals who lead the brands that are part of our lives. The development of a personal brand offers a new approach to people, establishes a new touch of point which allows us to actively formalize a relationship between professional and user of a brand. 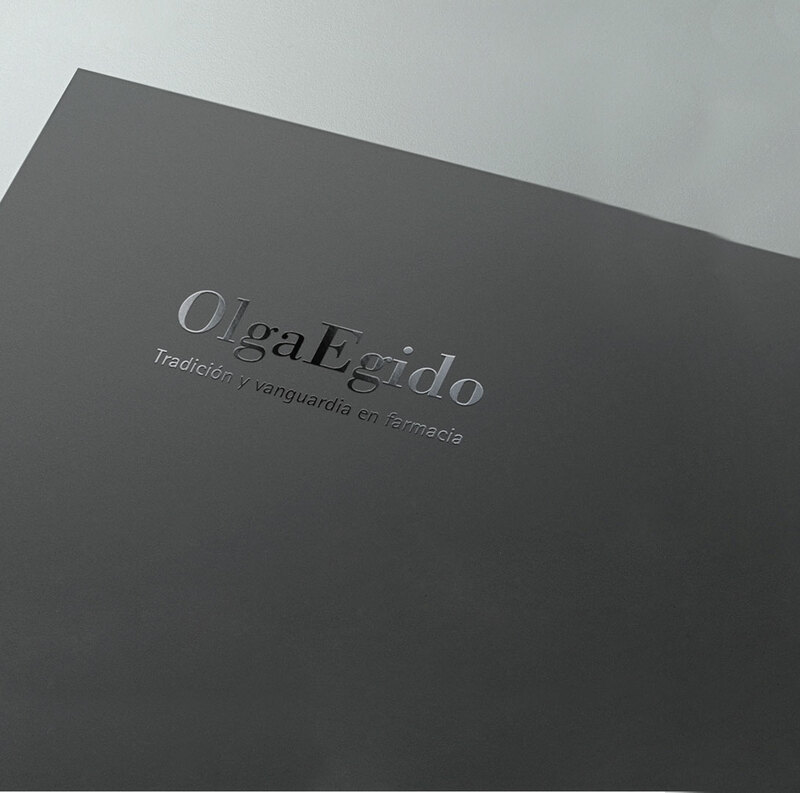 With Olga Egido we developed a brand that reflected elegance and innovation, where from a typography with serifs to denote her name we communicate the experience of a professional with years in the sector, and to generate a balance we focus his leit-motiv on his vision and professional promise with a typography sans serif with the aim of denote the present’s vision and the future goals.